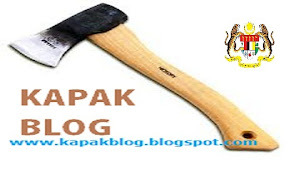 KUALA LUMPUR, May 16 — Tunku Aziz Tunku Ibrahim has openly attacked Lim Guan Eng, saying he does not trust the DAP secretary-general and ending any hopes of bringing the former party vice-chairman back into the fold after his resignation on Monday. “Kit Siang and I are old friends. I trust him but his son (Guan Eng) is a different kettle of fish,” he told The Star in an interview published today, referring to DAP parliamentary leader Lim Kit Siang. Guan Eng had publicly rebuked Tunku Aziz for saying that Bersih should not go ahead with an illegal street protest despite the party making a clear stand to back the electoral reforms movement’s April 28 rally. “I am not against the party. I am just against the attitude taken by the party secretary-general, particularly when he falsely accused me of going against the party decision to support Bersih. I have always stood for free and fair elections,” he said. The ex-Bank Negara adviser also said the Penang chief minister had called him on Sunday offering him a senior fellowship in the state’s think-tank, Penang Institute, “dangling travel as an attraction” after his tenure as senators was not renewed. “Then yesterday, Zairil Khir Johari (Guan Eng’s political secretary) called and repeated the offer and stated there was a stipend of RM50,000 to go with it. “Totally totally insulting, and I could only conclude that it had come from someone who had no sense and not even a modicum of respect. “Did he think I was that kind of person? This man has no sense of decency. The only word is a Malay word, and it’s ‘biadap’,” he was quoted by the English daily as saying. 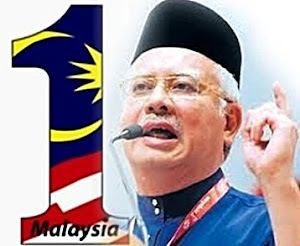 He also said that there was “absolutely no question” that this was his last venture into politics despite Guan Eng saying he will try to convince Tunku Aziz to rethink his resignation. “I will therefore resign my membership from the DAP and I will be advising the party within the next few minutes. I think the time has come for me to take a hard, very serious look at my own position within the party culture, the party system,” he said on national television. A distant relative of the Kedah royalty, he said he has always supported Bersih but only disagreed with proceeding with an illegal gathering after the Kuala Lumpur City Hall (DBKL) and police had refused to allow the movement to use the historic square for their rally. “But you know they also claim that I had not consulted the leadership. Why should I consult the leadership when I was not breaking the pledge to support Bersih? “The difference is that I would not support Bersih if it got itself into illegal activities,” he said. DAP has tried to reach out to Malays, who make up 60 per cent of the 12-million strong electorate, by recruiting leaders such as Tunku Aziz. 0 comments to "Tunku Aziz: I don’t trust Guan Eng"